Oh travel. I love it, I really do. I also like to think I’m fairly stoic about it when things go wrong. There’s nothing I can do about it anyway, so I might as well keep my cool. Granted, keeping my cool usually involves chocolate and possibly a drink if I’m lucky enough to be in First Class or I’m able to expense it on a work trip. Had some interesting travels lately! Warning, lots of pictures to follow! Flight in was so beautiful. I hope I’m never so jaded of traveling that I lose the wonder of it. This was an early morning flight and just watching the world wake up below me was so gorgeous. In the pictures below, what looks like lots of lakes are really valleys full of fog. How can people just sleep through that beauty? Alas, the rest of my trip wasn’t so great. I actually got an upgraded vehicle, but you really don’t *want* a huge SUV when driving around Long Island. I got some nice shots of Manhattan as we approached for our landing. Went to Orlando for a cousin’s wedding. It was absolutely lovely. The weather was just perfect. Warm, but not overly hot, and relatively low-humidity for Florida! Stayed at the Parc Soleil Hilton Grand Vacations. It was really lovely. We could see the ball of Epcot and the fireworks from our balcony. The bathroom was huge, with a separate soaking tub and shower. Full kitchen too! See above the tub where there’s something on the ceiling that’s not a light? That’s where the water to fill the tub comes from! It was so awesome! That round thing in the distance is Epcot! Convoluted trip, but worth it! Flew into Baltimore, then took Megabus with a group of friends from DC to NYC. The walk to the Metro was only a few Sean-blocks long. Unfortunately one Sean-block is equal to about 5 regular blocks. Again, worth it! Our bus had some difficulties and we had to switch and were delayed a bit, but it was not a big deal. Had a blast wandering about NYC for the weekend. Went to the Natural History Museum, toured Central Park, saw some street performers, took a sight-seeing cruise, went to Tiffany’s and FAO Schwartz on Fifth Avenue, saw Rockefeller Plaza, went to Union Square and ate at Republic and generally had an awesome time with my friends. My feet hated me from all the walking, but I’d do it again! Megabussed it back to DC and finally got to crash at around 11:30pm. Woke up the next morning and was being all leisurely thinking my flight was at noon. My friend (the aforementioned Sean) looked up my itinerary and said it was at 10:30. Mad rush out the door! On the way, I check my email. I was right, it was at noon. Originally, I was slated to go home on Monday, but then work needed me in Tacoma, WA (more on that in a bit). So instead of flying home I was flying to Seattle, and my new flight didn’t leave till noon. So we got breakfast. Hobbit breakfast at Denny’s. It was actually quite awesome. Then off to the airport, where my flight was delayed. I had a long layover, so I didn’t worry about it at first, but eventually I went up to see if they could re-route me to Seattle since it was certain I’d miss my connection in Chicago. There was a new ticket waiting for me when I got off the plane in Chicago, since I’d missed my flight by 1 minute. 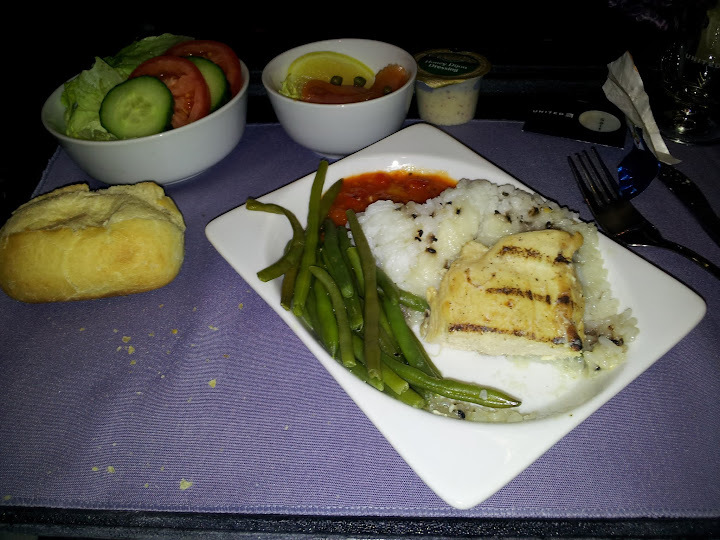 Got some grub, waited around for my next flight, which also ended up being delayed. 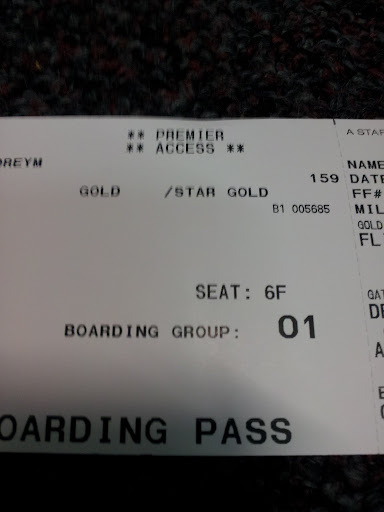 Managed to get bumped to first class though! Had a margarita and some dinner. Worked on a blanket I’m crocheting for my Grandma. Decided to look out the window a bit. Flying into Seattle at night is awesome, because it’s so dark, and you’re up so high, you can see so many stars! And I saw a *HUGE* meteor fall from the sky! I was listening in on the cockpit channel and I heard other pilots who saw it asking ATC if they knew what it was. They were a bit unnerved because usually you see meteors streak across the sky a-la shooting star. This one seemed to fall straight down and was really quite bright and large. It was really awesome. Flight home was a bit of a bear since it was a red-eye. I tried changing my seat to the window so I could lean against it and sleep, but I got the aisle instead. Got first class on the second leg from Newark home, but that was a relatively short flight, and the only food option was scones, and I’m not really a fan, alas. This entry was posted in Be Happy, Don't Work Too Hard and tagged New York City, NYC, Travel. Bookmark the permalink.